Click here to jump to our registration page. 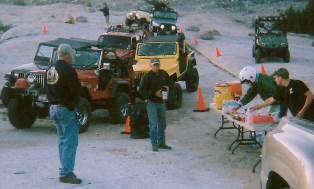 Our Hi-Landers Poker Run is an outstanding Four Wheel Drive Event with something for the whole family. 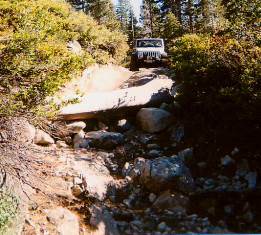 This run uses parts of the famous Rubicon Trail. Entering at the Loon Lake Spillway, working its way through the Bowl up the Slabs down the Waterfalls and heads out through Wentworth Springs Camp Ground. There are spectacular High Sierra views along the way. 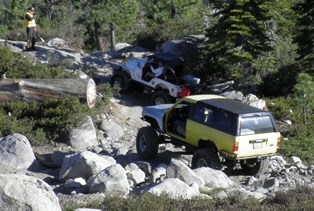 If you have never been on the Rubicon Trail this is a good chance to try it out and don’t forget to bring your camera . We run a safe and organized run with spotters to help you at all the difficult locations. 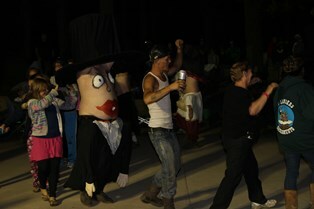 The participants traverse the trail in groups; each group has a group leader. We have club members roving the trail and there is an event drag to make sure no one gets left behind so we all get back to camp safely. Event cheek-in starts on Friday at Noon and runs till 10pm part of the check-in process is a vehicle Safety Check. 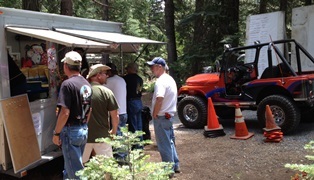 Saturday the rigs line up at the staging area located at the Loon Lake Spillway, departing in groups, each about one hour apart. Group one departs at 6:30am. You get to preselect your desired group of departure. Note if you select Group One or Three you will be in a difficult run for experienced drivers. Group One & Three recommend lockers front & rear, and 33” tires these groups will not detour around the hard spots like the stair steps. Participants will collect playing cards in sealed envelopes at checkpoints along the way. Once back at camp the cards will be opened by the folks running the Registration Booth but you won’t know who has the winning hands until after dinner. 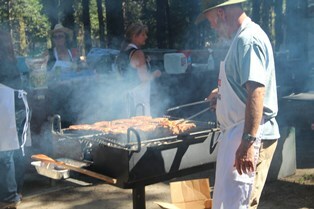 We start serving our Steak and Chicken Barbeque Dinner around 4PM. Around 6:30 PM we start the evening actives with the kids Prize Drawing where no child goes home empty handed. Other evening actives are awards presentation for Best Poker Hands, Best Check Point and Participation awards. There is an adult prize drawing chucked full of off road accessories and camping gear. Finally a dance and entertainment through the late evening hours.